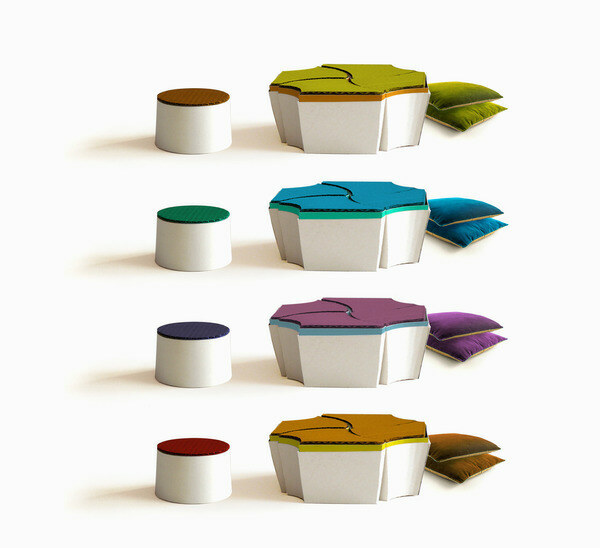 Yumee refers to the concepts of sharing and mobility of the hippie generation, but meets the needs of optimization and adaptability of our time. 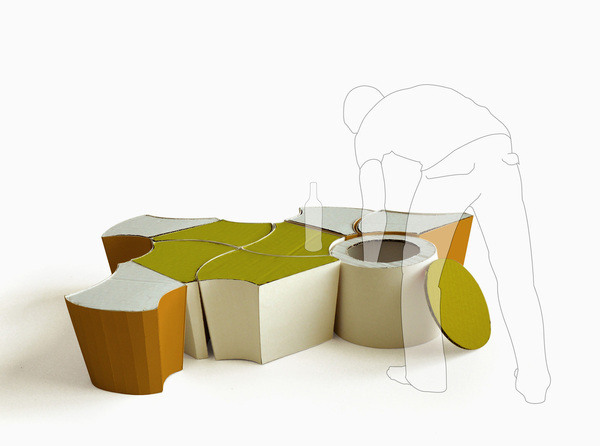 This project is inspired by the student lifestyle living in community or nearby, and is named after a two-tone orchid (the yume). 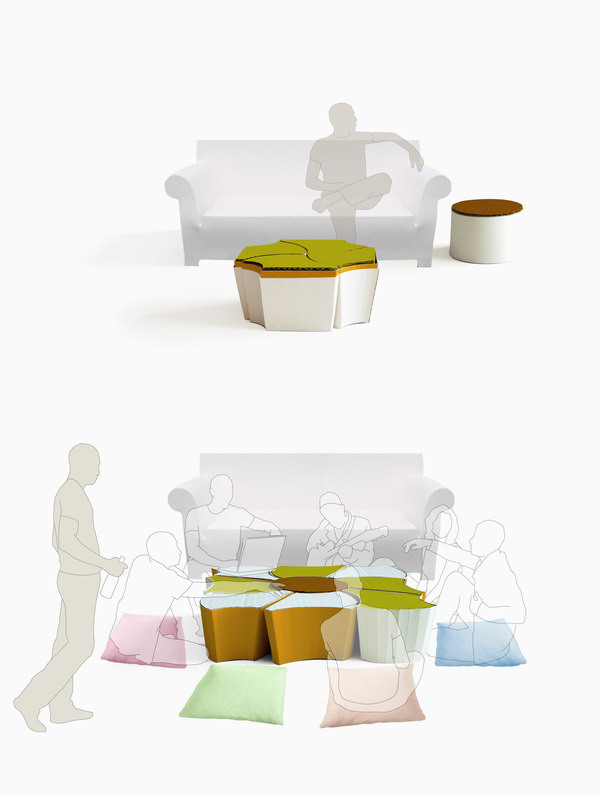 Yumee is a coffee table and a side table, able to accommodate several people around it. 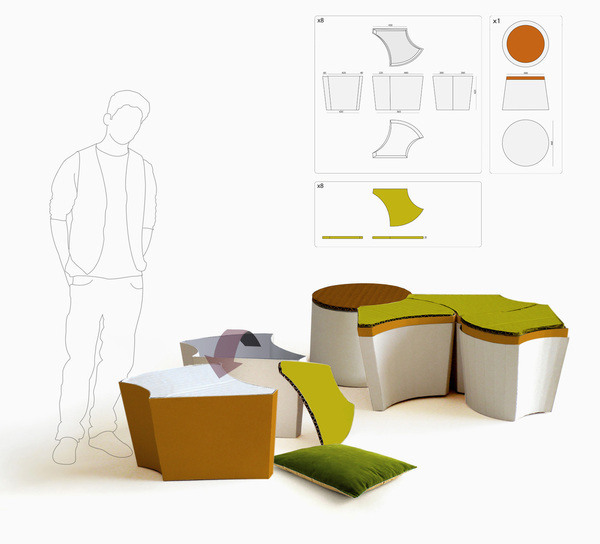 Comprising 2×4 stackable modules containing a pillow, the modular furniture unit adapting to the available space allows the users to place modules around the side table to create a bigger coffee table. 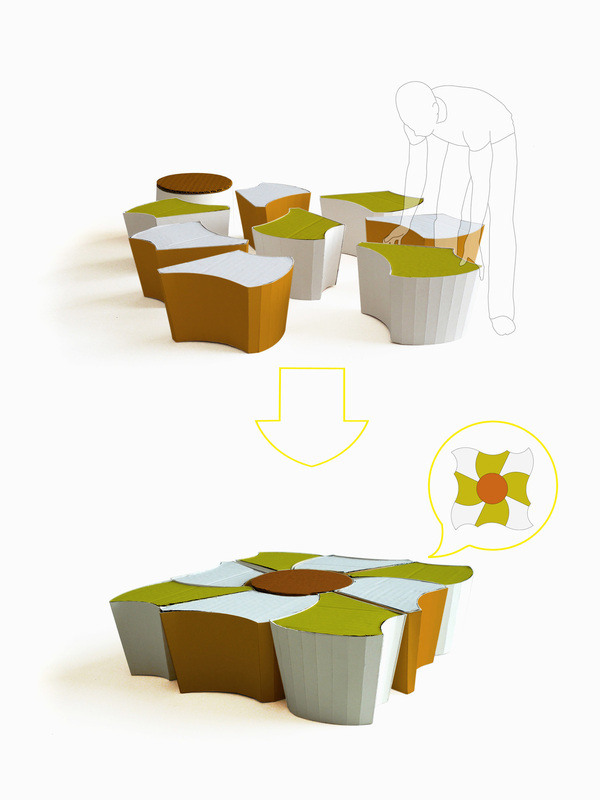 modular, Yumee is a small coffee table able to accommodate several people arount it.